MEXICO CITY, MEXICO Mexico City presented a next step for PG&A, which opened a 620 square meter office as their second branch. PG&A is a family business based in Monterrey, Mexico. This flexible office design has no assigned desks; each person gets to choose wherever they want to sit depending on the activity they need to get done. Sometimes users change places several times a day, mimicking how we work at home. You may like to take a call in the kitchen, and read a contract in the living room. 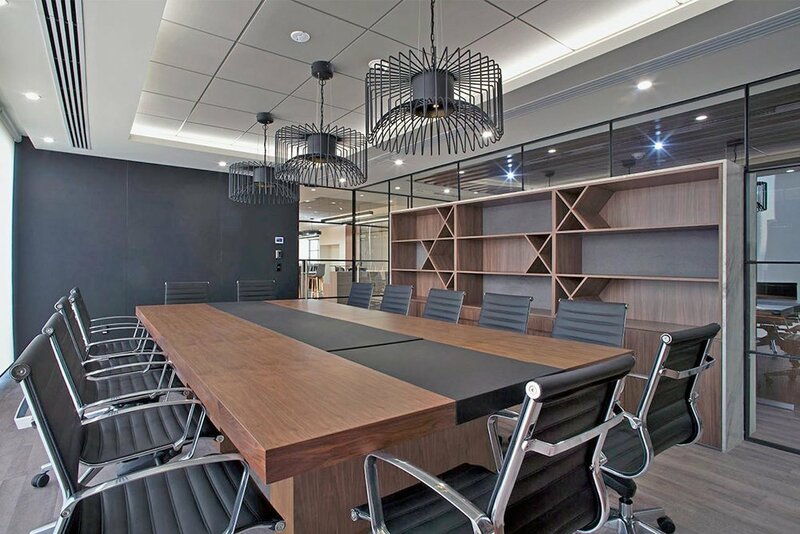 The space integrates flexible spaces for different kinds of meetings combined with materials in a monochromatic palette creating a contemporary and elegant atmosphere inspired by the 1950s.